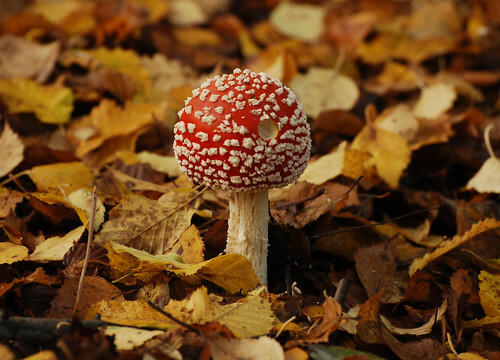 After 20 months of posting this is the 100th episode of The Naturephile. The original plan was to post once a week wherever possible and I’ve averaged around five a month, so that stayed roughly on track. I thought I may struggle to find enough subject material and to acquire sufficient photographs of the necessary quality to post as often as I wanted too, but that hasn’t been a problem, so far. 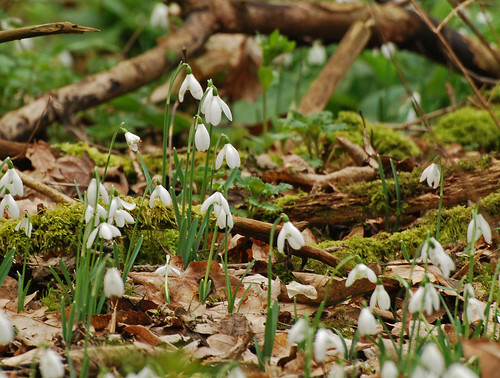 When I started off writing The Naturephile, the idea I may reach a hundred posts never entered my mind, so to mark the moment I’ve trawled back through the archive to find my favourite posts to give them another airing. 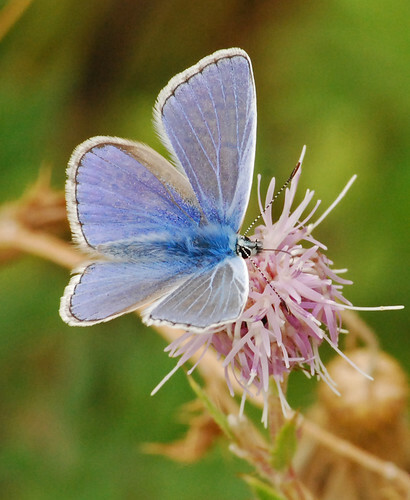 I’d anticipated it would be a straightforward venture but of course I’d rather underestimated the amount of subjects/species and photographs I’ve written about. But the number of posts was eventually whittled down to 14. 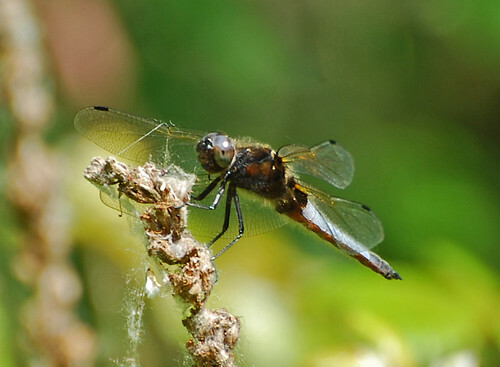 2) A little farther afield are dragon flies, the most common species I encounter are common darters and migrant hawkers. 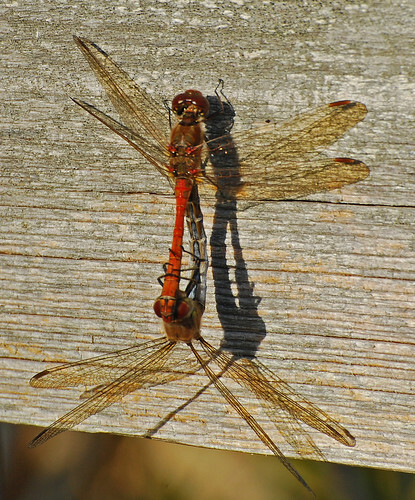 This Common darter appeared in a post on 19th October 2010. 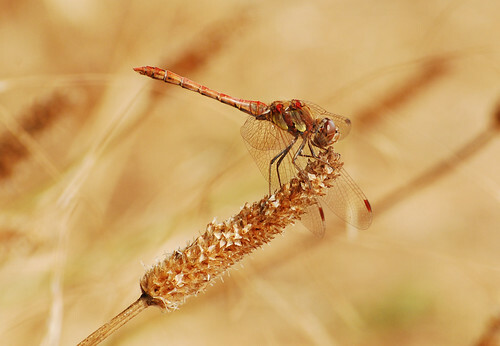 I like the symmetry of the fly and the seedhead and the red colour of this male darter against the brown grass. 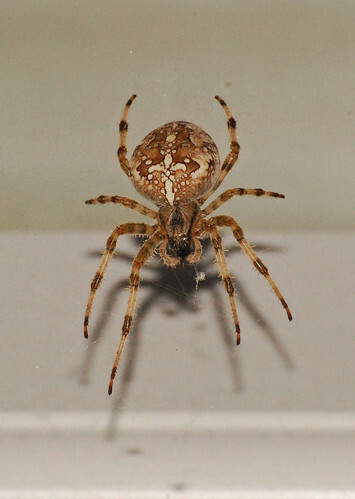 3) A few years ago when my sister lived in a house (she lives in a kennel now. Only joking, she lives on a narrow boat ;-)) they were digging the garden and this piece of rock turned up. 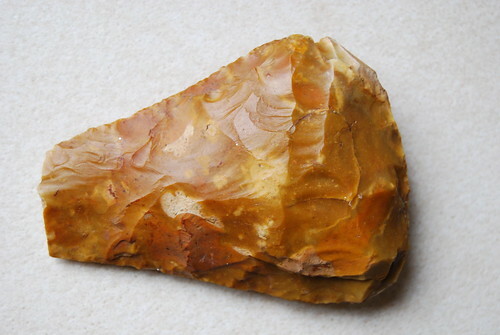 It’s an Acheulian hand axe made from flint and the marks on it are where it was worked with a deer antler. It dates from around 400,000 years ago which means it could have been made by a pre Homo sapiens hominid! It fits beautifully into the palm of my hand and after that many years the edges are still sharp. Even if I was blogging about topiary or book binding I’d have to find a way to slot this in. 5) Another consequence of the bitterly cold winter of 2010/11 was that most stretches of open water were frozen over and our herons (Ardea cinerea, Dansk: fiskehejre) were starving because they couldn’t access their normal food supplies. During this winter a hungry heron appeared in my friends garden and taking pity on its plight he fed it some fish. And of course one fish supper turned into rather more than one so the heron came to expect it, and if dinner was late it came and tapped on the window to complain to the management. 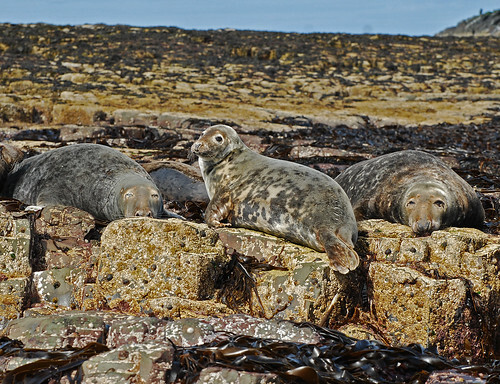 6) Sea mammals of any description are always a delight to see and photograph and one of my favourite places on the planet for doing that is the Farne Isles situated just off the Northumberland coast. 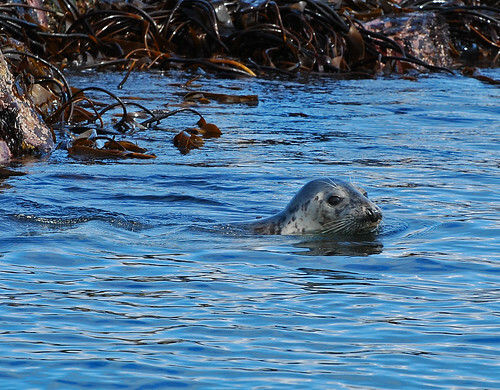 Our holiday last year was to Northumberland and I can’t go there without taking in a boat trip to the Farnes where hundreds of Atlantic grey seal were basking on the rocks and generally taking life easy in the water. 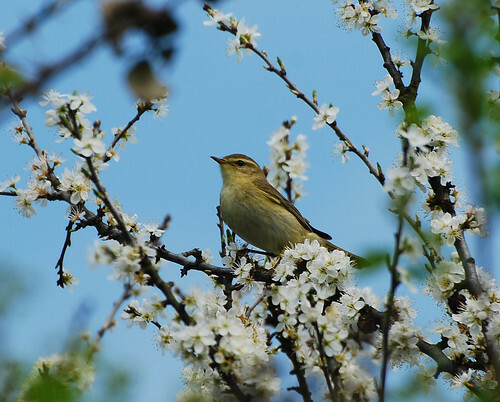 7) Closer to home, April last year was hot and sunny and a great time to see songbirds in the countryside. 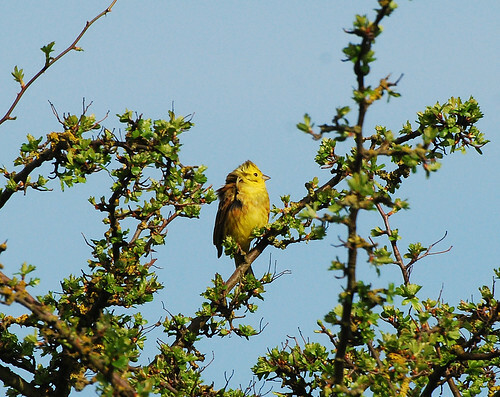 One of my favourite birds is the yellowhammer (Emberiza citrinella, Dansk: gulspurv) and they’re regulars in the hedgerows around Cambridge. 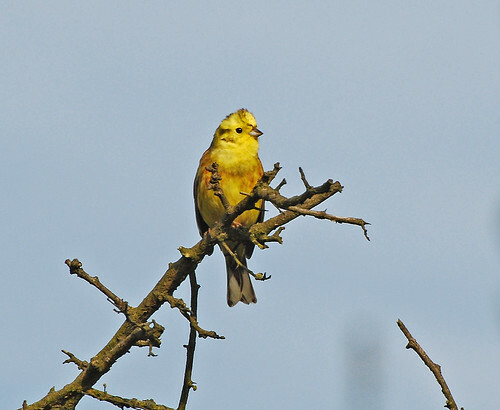 Yellowhammer male – what a gorgeous colour! 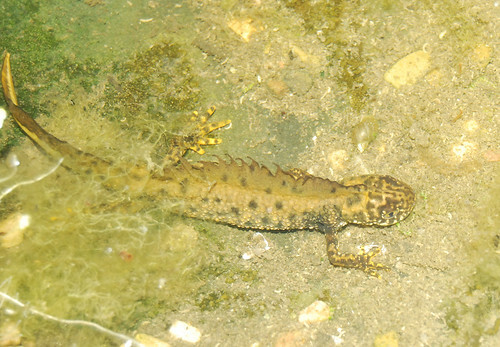 8) A creature I’d never encountered before last year was the great crested newt. My friend told me of a place where they could be found so we ensconced ourselves in the nearest pub in preparation for a nocturnal newt hunt after closing time. 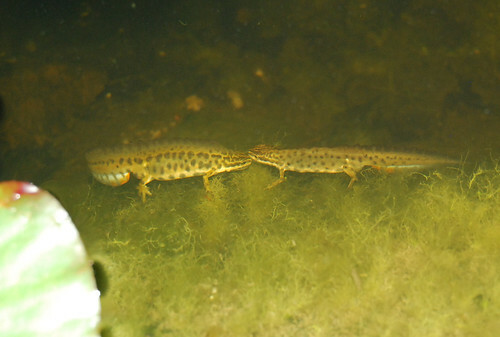 It was a very successful trip, a few pints followed by finding not only the great crested newt but the other two species of UK newt, palmate and smooth newts. 10) As well as being a top location for marine mammals the Northumberland coast is also home to huge numbers of seabirds so it’s a very happy hunting ground for me! Just poking your head over the seawall at Seahouses can reveal lots of seabirds including oystercatcher (Haematopus ostralegus, Dansk: strandskade), knot (Calidris canutus, Dansk: islandsk ryle), eider (Somateria mollissima, Dansk: ederfugl), turnstone (Arenaria interpres, Dansk: stenvender) and this redshank (Tringa totanus, Dansk: rødben). 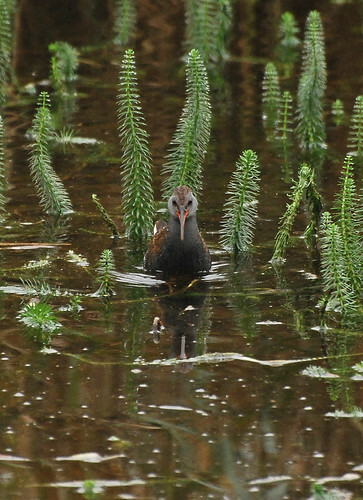 11) RSPB Fowlmere, to the west of Cambridge is famous for its water rail. 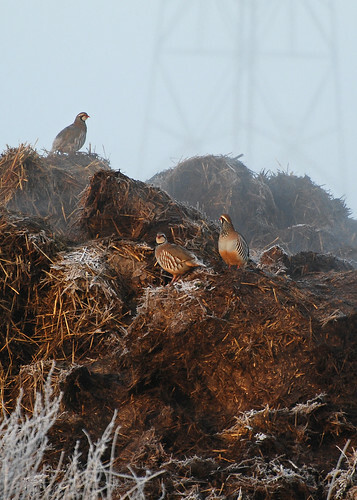 On a trip there in December 2011 I was tipped off by a local that a particular hide was good for water rail (Rallus aquaticus, Dansk: vandrikse) and one had been seen there that morning, so off I went to try and see it. My informant was correct. 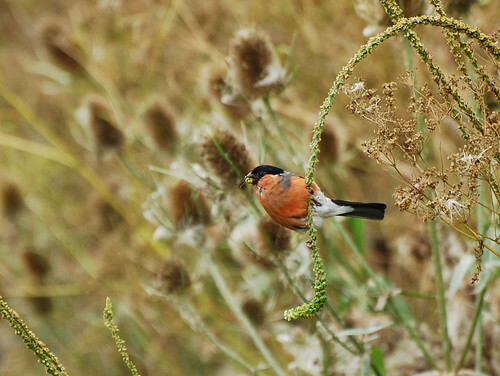 There was just the one bird there, but it scoured the mudflats in front of us for a whole hour before disappearing into the reeds, giving me plenty of good photo opportunities. 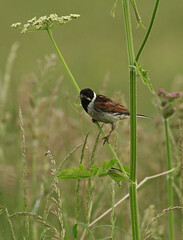 I was very pleased with the primeval feel of this image with the bird face on infront of the horsetails. 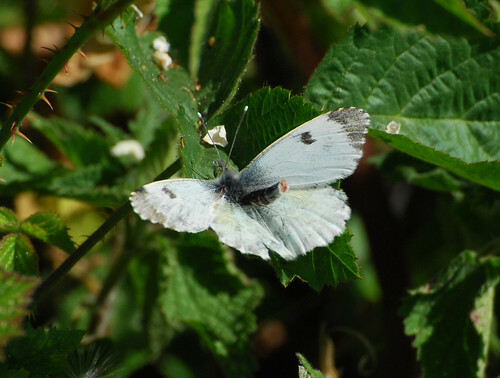 These were a few of my favourite posts, favourite for various reasons: the stories attached, the rarity of the sighting or simply the exquisite natural beauty of the subjects. I hope you like them! And lastly, I’ve been stunned by the numbers of people from all round the world who read The Naturephile and like it enough to follow it or click the ‘Like’ button. 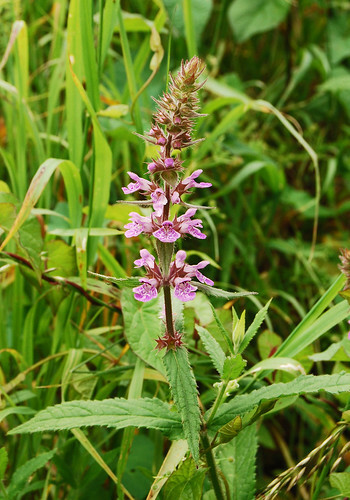 Thanks to everyone for stopping by and enjoying a read, I love sharing the nature from my corner of Cambridgeshire with you! 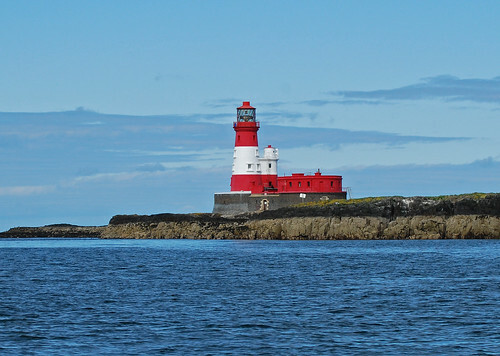 An absolute must for me when I go to the northeast of England is a boat trip to the Farne Islands. 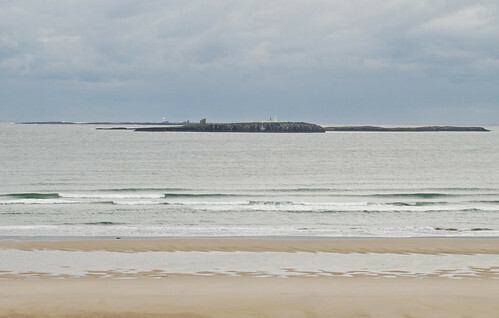 The Farnes are a group of small low islands lying a couple of miles off the coast between Bamburgh and Seahouses. The islands were immortalised in 1838 by the heroic actions of Grace Darling, the 23 year old daughter of the Longstone lighthouse keeper. When a shipwreck was spotted during a North Sea storm on Big Harcar, a small rocky island nearby, Grace and her father crewed a 21 foot rowing boat to rescue the stranded passengers from the SS Forfarshire. Grace was 23 at the time of the rescue, which she survived only to be carried off by tuberculosis 3 years later. Which seems downright unfair to me. 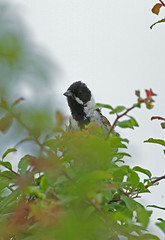 The islands are currently owned by the National Trust and they are famous for enormous numbers of seabirds including guillemots (Uria aalge, Dansk: lomvie), razorbills (Alca torda, Dansk: alk), kittiwakes (Rissa tridactyla, Dansk: ride), puffins (Fratercula arctica, Dansk: lunde), terns, cormorants (Phalacrocorax carbo, Dansk: skarv), shags (Phalacrocorax aristotelis, Dansk: topskarv) and assorted gulls. 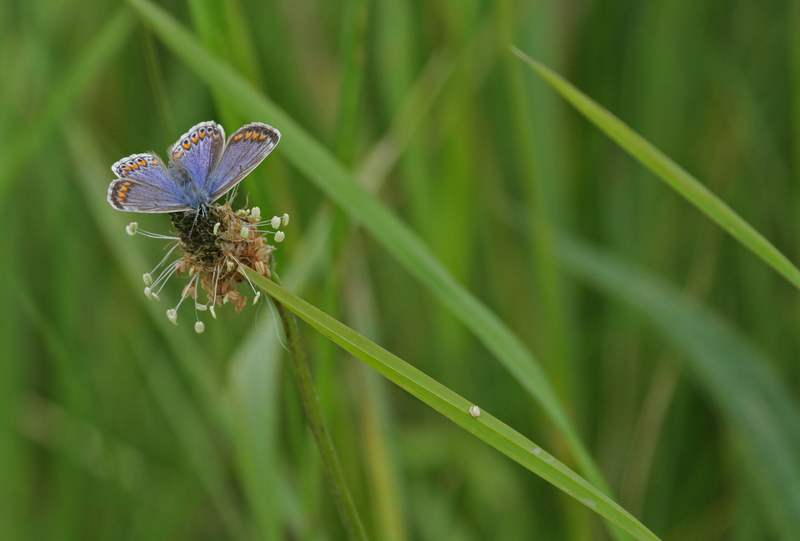 During the breeding season there are many tens of thousands of numerous species nesting there. 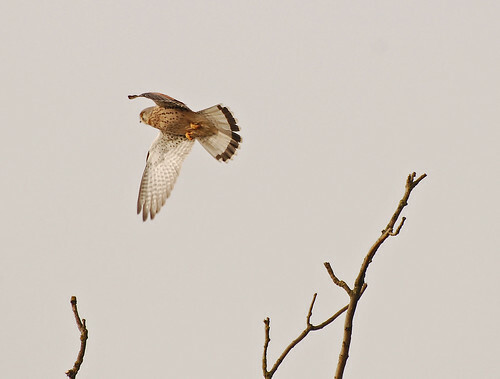 …busy preening out the down and nurturing the nascent flight feathers. It’s remarkable how in such a short space of time nature provides these young fishermen with a full set of plumage capable of withstanding the rigours of these semi-aquatic hunters underwater feeding technique. 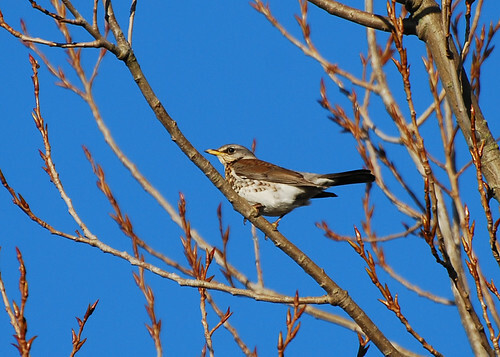 There were one or two turnstone patrolling the rocky shorelines of the islands but the vast majority of the seabirds were completely absent. 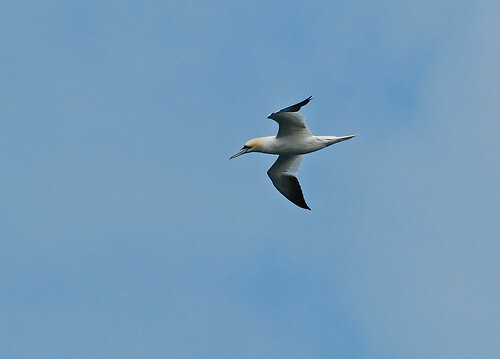 However, one which did make numerous welcome appearances throughout the course of our trip was the gannet (Morus bassanus, Dansk: sule). They are our largest seabird and can be spotted from afar due to the titanium whiteness of their plumage and their black wingtips. They seemed to be simply passing through that day, all heading north, and none of them paused to dive for fish, which was a pity because it’s spectacular to watch. 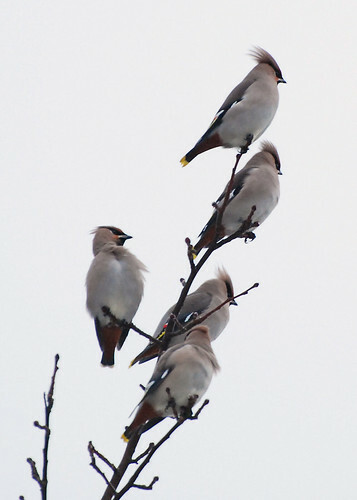 They were predominantly in family groups of 3-6 birds with adults and patchy darker coloured youngsters. 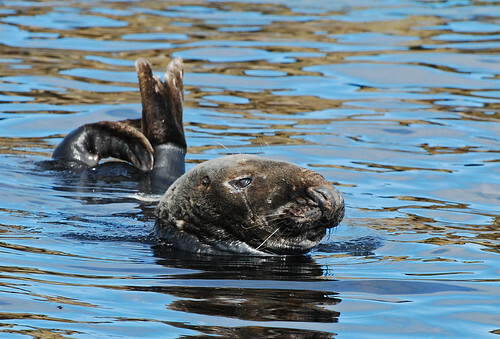 The other creature for which the Farne Islands is renowned is the seal. 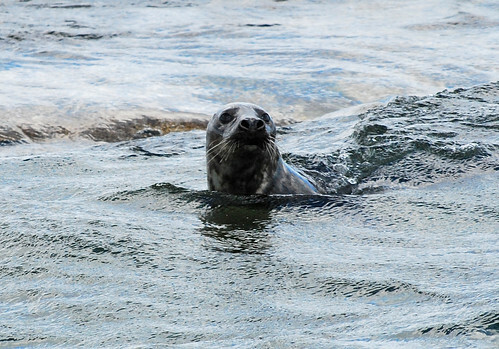 Specifically the Atlantic grey seal. All the islands I saw had large groups of them consisting of territory conscious bulls and numerous smaller females and calves. The bulls were highly vocal, rearing up into threatening postures to intimidate any others that unwisely ventured too close. 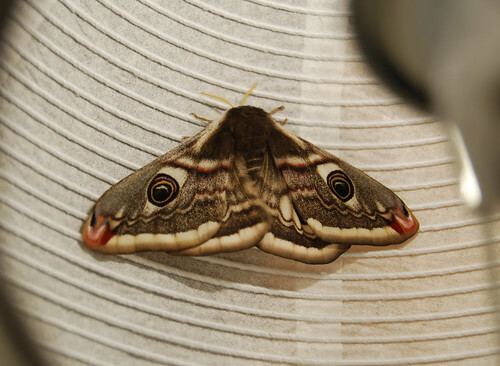 No more physical aggression was required but from the face of the male below they are quite capable of a proper fight resulting in scar tissue. Although I imagine that is most likely to happen during the more serious business of a competition for the attentions of the ladies. 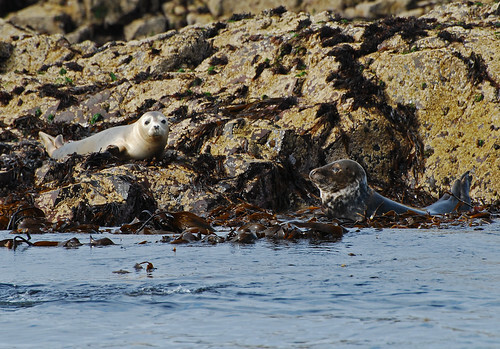 The rocks and the water was full of seals, most were simply basking in the sunshine, the females were minding the youngsters and the males were being generally grumpy. They would hang in the water peering at our boat and some of them were asleep in that position, standing on their tails with their heads poking out of the water. The waters looked crystal clear and it gave me a hankering to explore the islands in kayak and do some snorkelling. But that will have to wait until the next trip. 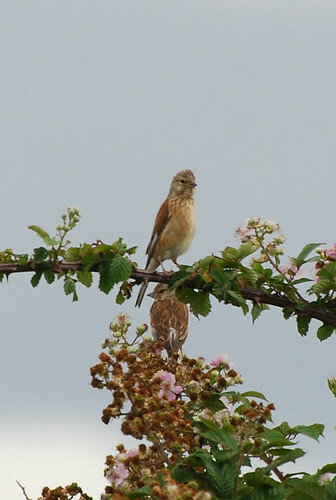 Seahouses, on the Northumberland coast, has proved a fertile hunting ground for birdlife in the past and my most recent visit in August was no exception. It has a sheltered harbour which plays host to numerous gulls, ducks and other seabirds and to the north are miles of beaches interspersed with rocky outcrops and some great rockpools which keep the kids (and me, of course) entertained for hours. I accidentally slipped into a bed of seaweed whilst leaping around between rockpools, my foot disappeared up to the knee making a glutinous squelching sound as it went, and when I pulled it out it was a rather fetching greenish brown and the stench was worse than the inside of a packet of dry roasted peanuts! But that aside, the wildlife was spectacular. 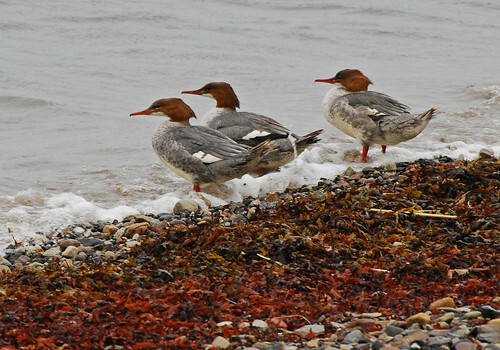 I’d never seen goosander before (Mergus merganser) then I spotted this trio of females standing at the edge of the water in the harbour. 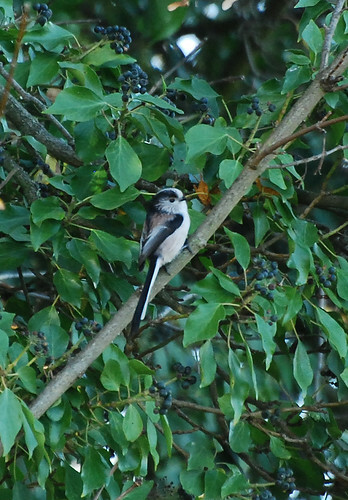 I think they are handsome birds, they nest in holes in trees and have a hooked and serrated beak which is designed to catch and hold onto their main prey item which is fish, thus they are also referred to as ‘sawtooths’. 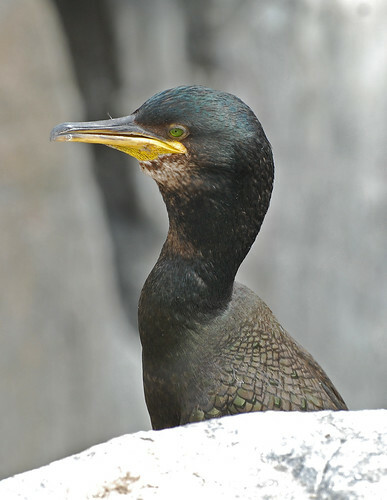 Shags frequently patrol the harbour diving for fish, they were plentiful both in the sea and perched on rocks and seawalls. 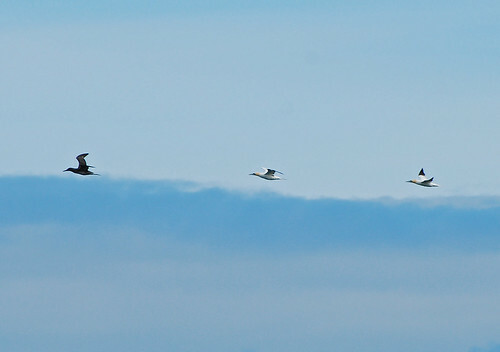 They were the only seabird other than gulls that I saw on the Farne Islands, but more of that in a subsequent post. 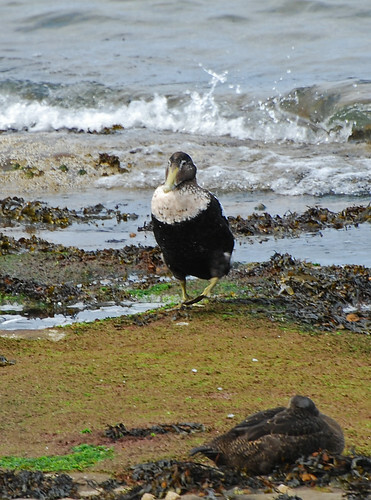 The shag (Dansk: topskarv) could only really be confused with a cormorant (Phalacrocorax carbo), but the shag is alot smaller with a wingspan of 95-110cm compared to the 120-150cm wingspan of the cormorant, and it doesn’t have the white patch behind the lower mandible. 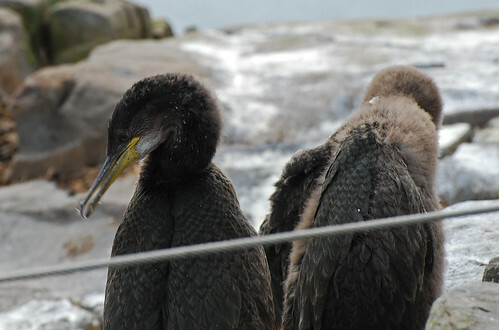 The prominent yellow patch on the shag above indicates this is a juvenile. 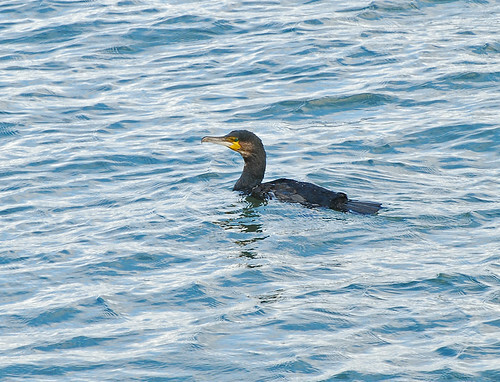 On the water cormorants swim with a straight neck and their beak pointing up in the air and will leap up into a dive, and in flight they have a longer neck with a pronounced kink in it. 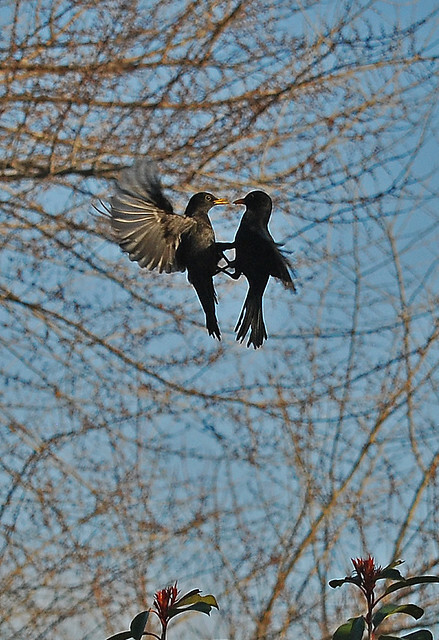 Cormorants are now regularly resident inland. About 20 years ago I was walking along the Woodford Valley to the north of Salisbury and was somewhat taken aback by the sight of a cormorant in a tree. 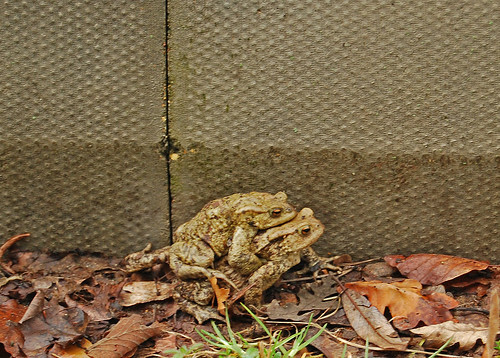 I’d never seen that before and I think it was around this time they were starting to encroach inland. 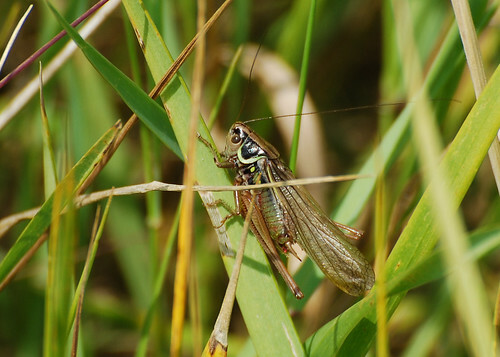 They’re now a fairly common site around our inland waterways, there are several which overwinter on a lake here in Histon – the first one arrived here about a week ago – and there is a flock of a few tens of bachelor males resident at Wicken Fen nature reserve a few miles from here. I think anglers take a rather jaundiced view of their fondness for fish, but I regard them as a welcome addition to our local fauna. 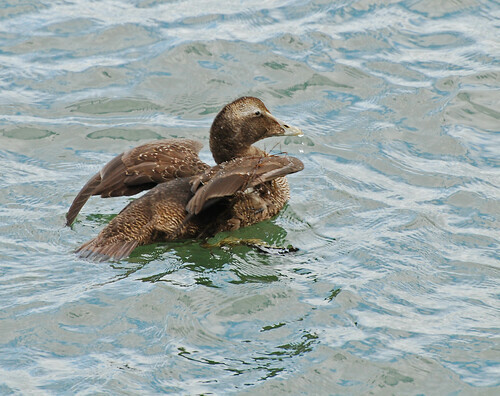 Juvenile eider trying to dislodge a foreign body from its wing. 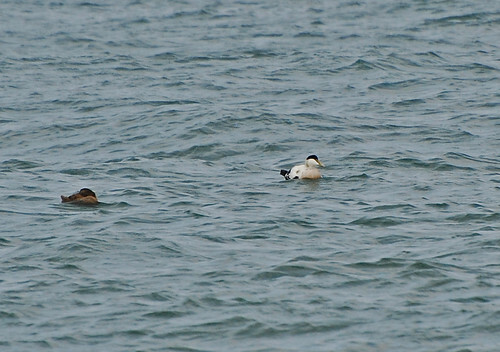 Male eider on the right, distinctive in his white breeding plumage with black cap, flanks and tail, and malachite green nape. 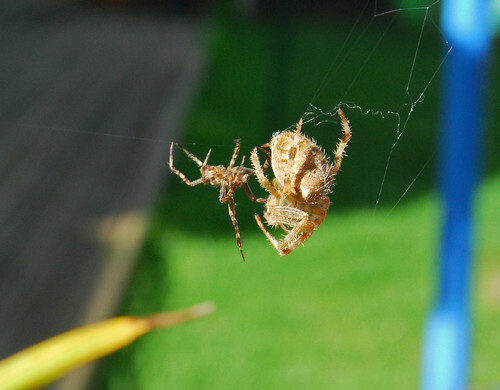 Alas he didn’t come any closer! 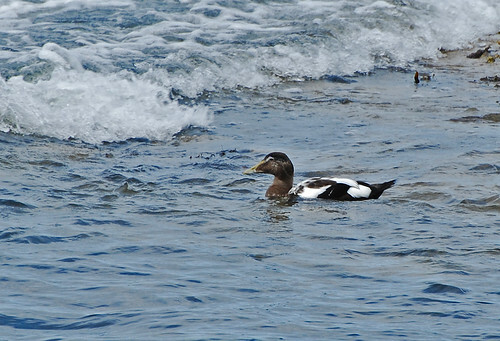 At the end of the summer male eiders malt, during which time they can’t fly. Because they can’t fly the malting plumage needs to provide camouflage and is known as ‘eclipse‘ plumage. They can become almost black during this period. Eider nest close to the water where the female sits tight. 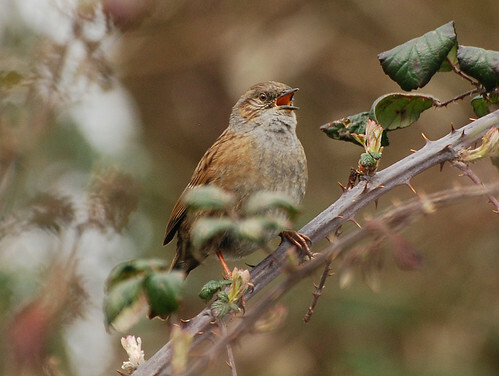 They feed on crustaceans and molluscs, predominantly mussels, which they open with their powerful beaks. 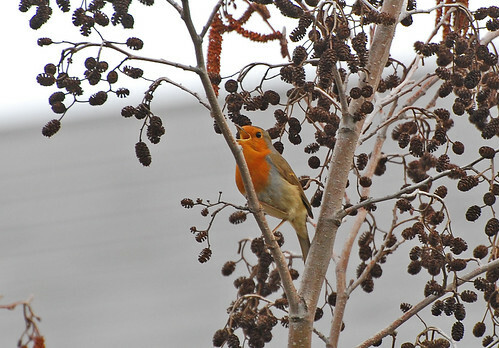 They overwinter all around the UK coast but are only resident in the north and Scotland. 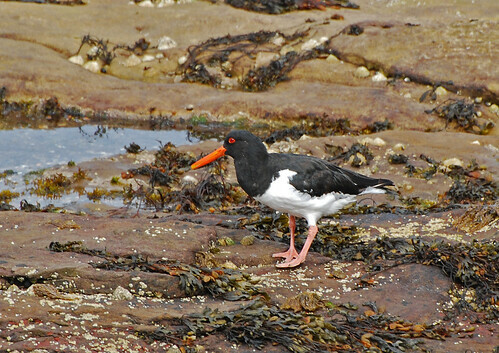 Oystercatcher (Haematopus ostralegus, Dansk: strandskade) can be found all around the coast of the UK, at least all the parts that I’ve visited, and I think they’re splendid. That awesome flame-red beak is vertically flattened and blunt and is adeptly used for opening cockles and other shellfish, digging for worms and probing between rocks for insects. 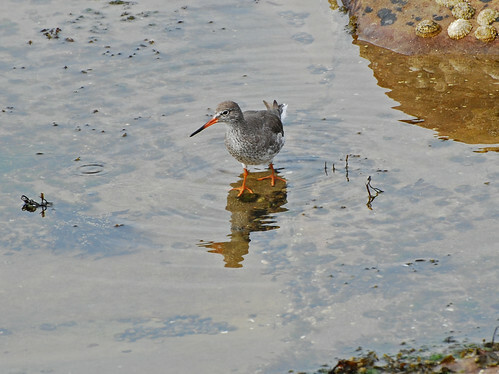 The redshank – I think this bird is exquisite, the colours are beautiful and the shape is perfect, nature at its aesthetic best! 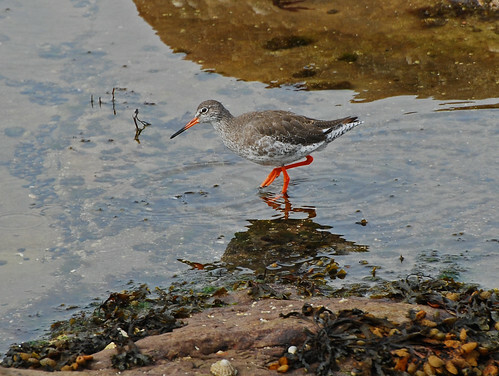 The redshank (Tringa totanus) is a resident breeder and migrant visitor which feeds on worms, crustaceans and molluscs. 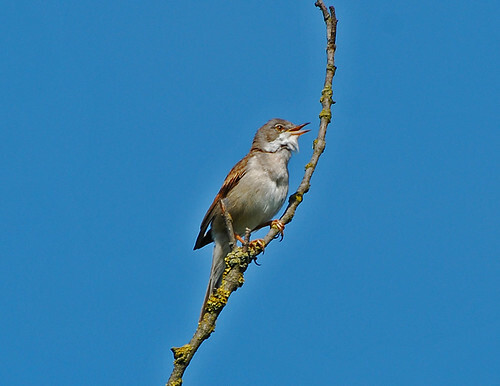 It’s Danish name is ‘rødben‘ which translates literally as ‘redshank’ and it is also known as ‘the sentinel of the marshes’ from being the first species to take to the air when flushed whilst making an awful lot of noise. 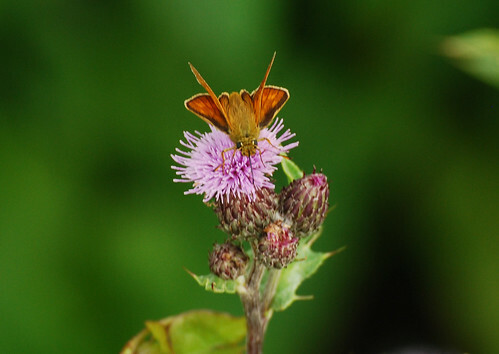 All the photographs here in this post were taken in Seahouses, so hopefully it’s easy to see what a great place it is for wildlife, and birds in particular.